Hi everyone! 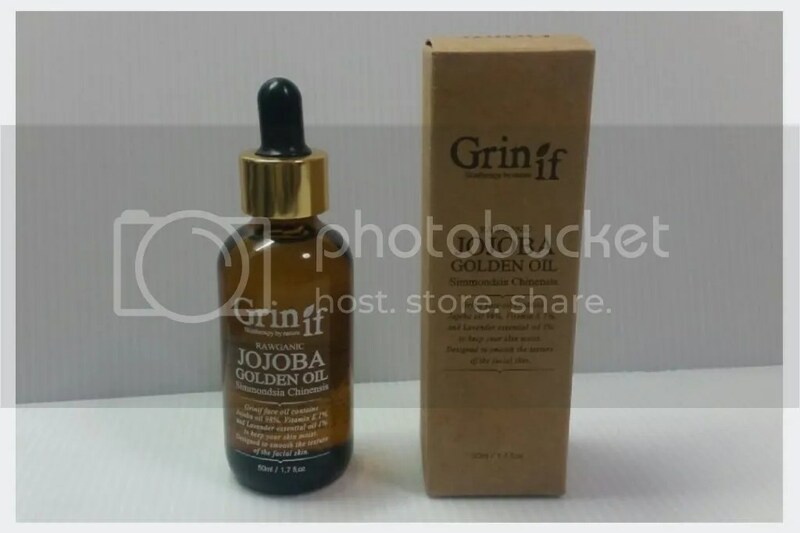 I’m back with another review – this time on the Grinif Rawganic Jojoba Golden Oil. ‘Rawganic’ refers to non-processed, purely natural ingredients, so I assume that’s what this bottle is made with. I got this full size 50ml bottle in a Memebox when they still shipped internationally in Daily Dose of Beauty box; on the product card, Memebox stated that this originally cost USD36. I think for such a large bottle, the price is not too ridiculous, but let’s see if it’s actually worth it! Since I just did a Night Time Skincare post last week, I thought I would just follow it up this week with my Day Time Skincare. I have a few similar products for the day as what I use in the night, as I’m trying to stick to the same products and use them up before moving on to others. Also, it’s easier to tell if the products are really effective if I stick to the same products! I don’t do the moisturising step everyday, as the weather in Singapore too hot and my makeup would slide off with moisturiser under, unless my skin is feeling particularly parched and really need the extra help. But SPF is a must have – I truly believe in using sun protection. I love a good face scrub but a good face scrub is also one of the hardest thing to find, at least for me anyway. Because I am very particular about the size of the granules, the hardness of the granules, the ratio of the cream and the granules. In short, I am a very fussy face scrub buyer. Too hard, and it will be downgraded to a body scrub. Too soft, and I don’t get what the whole point is for. 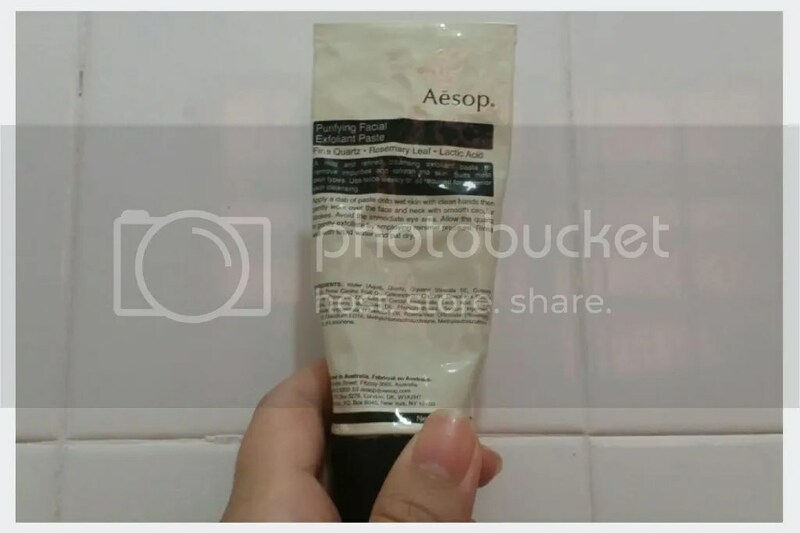 I picked up this Aesop Purifying Facial Exfoliant Paste some time ago after the salesperson practically dragged my arm across the sink and insisted that he tried it on me. I wasn’t even looking for a scrub but 10 minutes and a hand scrub later, I had a scrub in my bag and S$67 poorer. 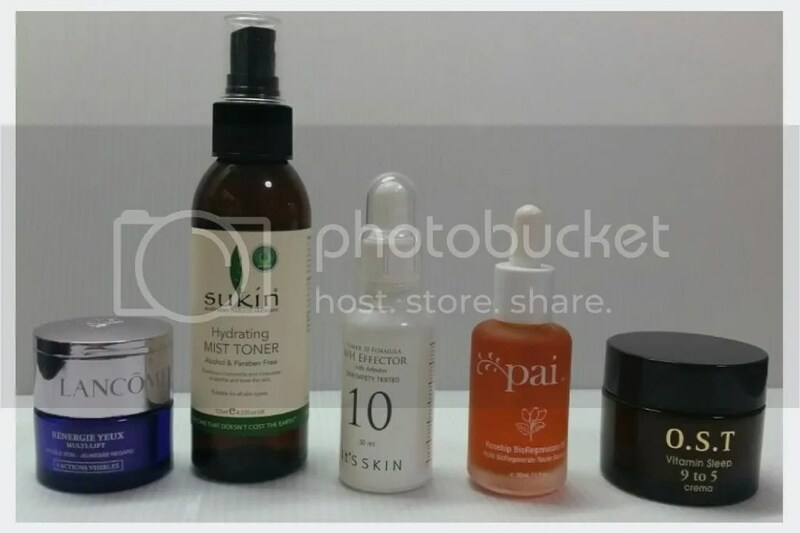 My skin has been feeling a little on the dry and sensitive side lately, as well as lacklustre, so I’ve been using minimal but highly hydrating products to help it through the night and looking good the next day. I usually try a lot more products simultaneously or pile on multiple serums in a night, but since it’s feeling more sensitive than usual, I’m letting my skin take a break. I’m still trying to look for more effective products, but so far these works pretty well when my skin is acting up. What about you? What’s on your skincare rotation at the moment? It’s been awhile since I’ve done a midweek peek – my last one in this series was way back in November! 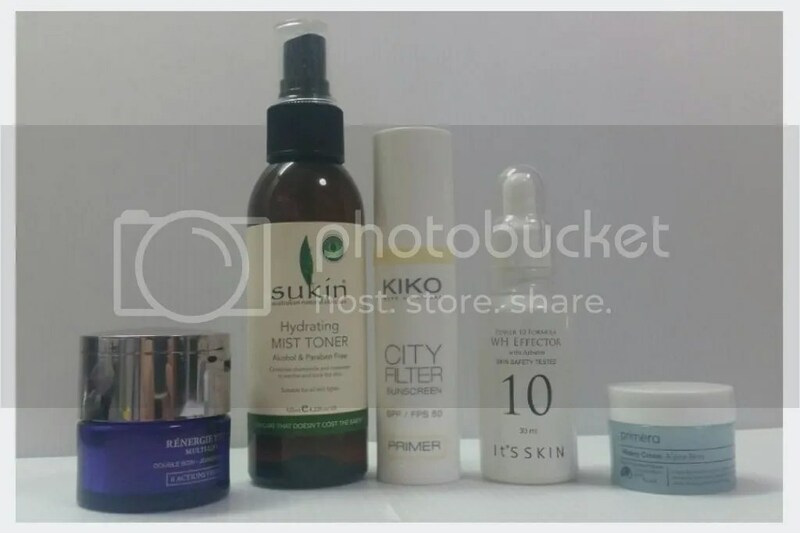 Anyway I just want to show you a quick peek of the skincare that I’ve been testing over the past week – a little trial set from Astalift that I bought from Japan. I’ve tried a couple of items from Astalift before, but that was some time ago so I wanted to see if I still liked it as much as before. 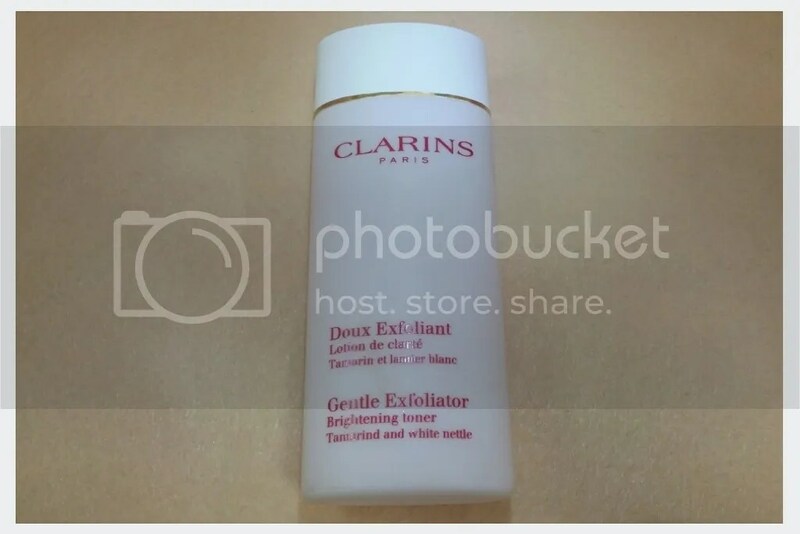 The trial kit comes with a cleansing gel, a moisture foam, lotion, cream, essence, and a jelly aquarysta. 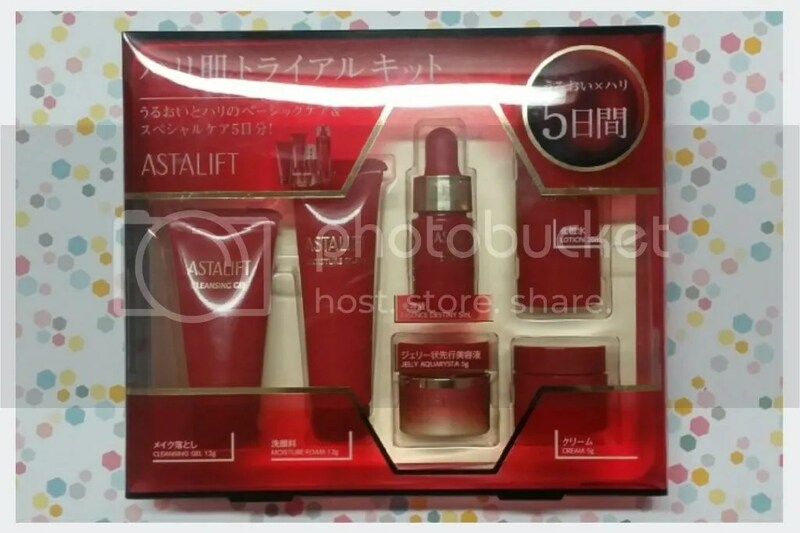 The last one, the Jelly Aquarysta, is supposed to be the star of Astalift’s products, and its name is derived from AQUA and CRYSTAL, which symbolises the light as water texture of the clear jelly, and the crystal-clear, moisturised skin it brings. With all the money that we spend on anti-ageing skincare, one area that is often forgotten, and where all the efforts elsewhere is wasted, is our hands. Our hands are one of the places that it is the easiest for others to tell our age! Because like our face, it is one of the most exposed parts of the body. But thankfully, we can take steps to delay signs of ageing on our hands too! 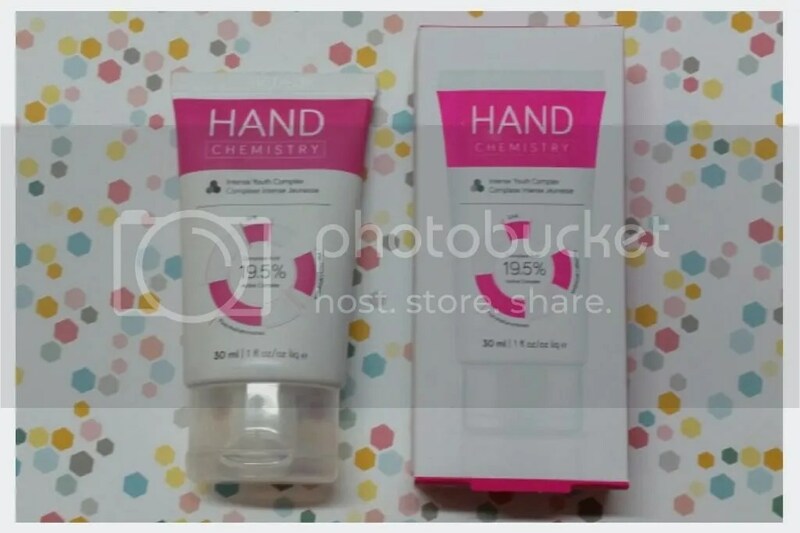 Enter the Hand Chemistry Intense Youth Complex Hand Cream – a hand cream that claims to leave the skin looking visibly younger in 11 days! Does it really work?